A native of Southern California, Thow earned a bachelor’s degree in music in 1971 at the University of Southern California, where he studied composition with Adolph Weiss and Ingolf Dahl, and conducting with Frank Salazar. He continued his studies at Harvard University with composers Earl Kim and Leon Kirchner, and received a Ph.D. in composition in 1977. While at Harvard he was awarded a Fulbright fellowship to Italy, where he studied with Luciano Berio in Rome and Franco Donatoni at the Accademia Chigiana in Siena. He returned to Italy under Harvard travel grants and the Rome Prize Fellowship in composition to continue his work with Berio. In 1981 John Thow joined the music faculty at the University of California, Berkeley, and served the department as chair and as director of the Berkeley Contemporary Music Players. 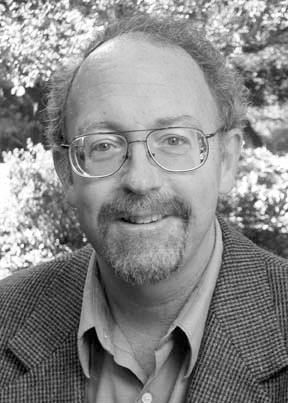 During his 26 years on the UC Berkeley faculty Thow was active in organizing concerts of student works and mentoring a generation of young composers. A master of orchestration with a passion for literature and indigenous musical traditions, Thow produced a series of works featuring unusual instrumental combinations and vivid texts. His Chumash Songs, for clarinet, violin, percussion and piano (2000), commissioned by the Ventura Chamber Music Festival, incorporated melodic and rhythmic elements of the Southern California Chumash Indian tribe. His Musica d'amore is a trio for oboe d'amore, viola d'amore and harp, and his Summer Solstice (2005) is based on contemporary Greek poetry. Three Echoes (2001) was written for the five-hole Lakota Sioux flute, Three Pieces for Carillon was performed at the International Carillon Festival at UC Berkeley's Campanile in 1998. Thow, who trained as a flute player from a young age, wrote extensively for both modern and baroque flute ensembles. In 1997 the National Flute Association awarded To Invoke the Clouds, its Newly Published Music Award, and Six Duets for baroque flutes was premiered in London in 2006. Thow’s lyrical and richly colored music has been consistently championed by prominent performers and ensembles. His relationship with the San Francisco Symphony began with a 1986 performance of his composition Resonance. The symphony subsequently commissioned a three-movement work titled Into the Twilight in 1988, and Bellini Sky, an English horn concerto inspired by paintings of the fifteenth century artist Giovanni Bellini, in 2005. His compositions have been commissioned and performed widely in the United States and in Europe by L'Orchestra della RAI (Rome), Speculum Musicae, the Boston Musica Viva, the Brooklyn Philharmonic, the San Francisco Contemporary Music Players, the San Francisco Symphony and many others. His work has been featured at the Tanglewood and Edinburgh Festivals. Among his many awards were two from the American Academy of Arts and Letters, a Guggenheim Fellowship and grants from the National Endowment for the Arts and the American Music Center. He served as artist-in-residence at the Yaddo, Djerassi, Temecula Arts and Wurlitzer Foundations, among others.